We invite you to submit your next paper to the Ecology domain of Elementa: Science of the Anthropocene, a trans-disciplinary, open-access journal whose mission is Open Science for the Public Good. 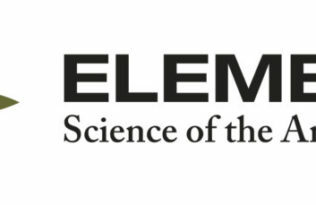 Elementa publishes original research with the ultimate objective of accelerating scientific solutions to the challenges presented by this era of human impact. Structured into six distinct knowledge domains, the Ecology domain will consider research centered on the ways in which humans are intentionally and unintentionally altering the conditions for life on Earth and the resulting ecological implications. These anthropogenic effects manifest at molecular levels and can cascade into physiological, population, community, ecosystem, landscape and global responses. Elementa will report new breakthroughs across these levels of ecological organization as well as for all domains of life. For the full Aims & Scope of the Ecology domain, please click here. There has never been a more important time to ensure that transparent, evidence-based, peer-reviewed research has the widest and most impactful dissemination as possible. Please consider submitting your ecological science papers to Elementa or developing a Special Feature or Forum, and feel free to get in touch with Donald R. Zak, University of Michigan, Editor in Chief for Ecology, should you have any questions. Compagnoni A, Adler PB. 2014. Marks CO, Nislow KH, Magilligan FJ. 2014.